25 sentences with verb to be. A color version and a black and white one. 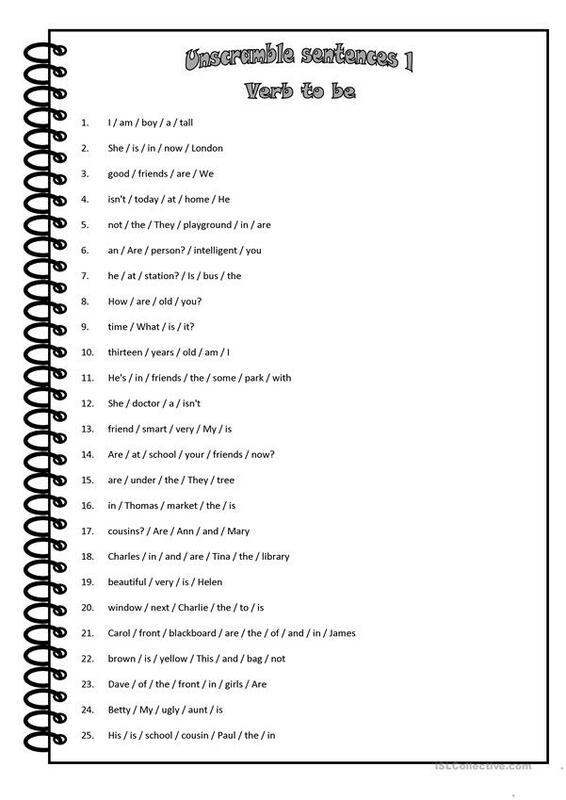 The above printable, downloadable handout is recommended for high school students and elementary school students at Beginner (pre-A1), Elementary (A1) and Pre-intermediate (A2) level. 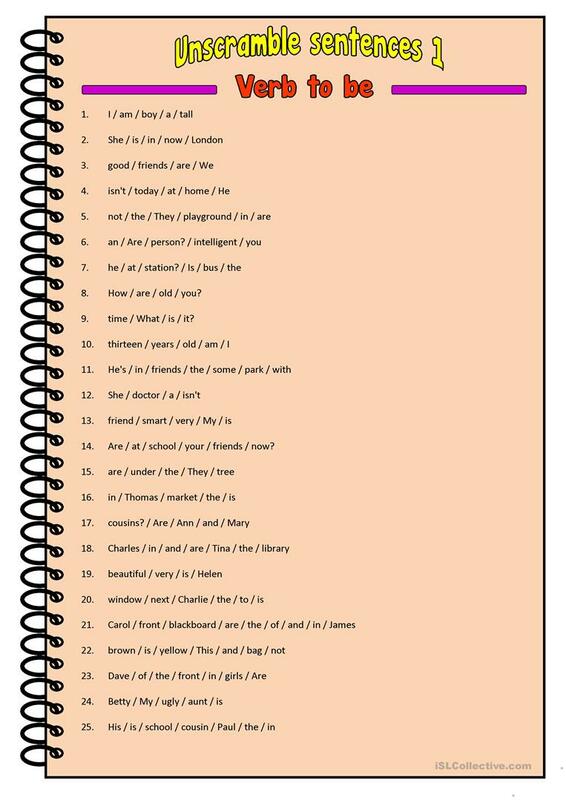 It is a useful material for teaching BE (auxiliary verb) in English, and can be used for developing your learners' Writing skills. The solutions are provided, too.